B-schools with luxury of choice of whom to accept into their MBA classrooms have always valued diversity in the matriculating class. The news is this trend is strongly on the up. Not only are schools admitting more minorities and foreigners and women – both HBS and Wharton hit record numbers of female enrollment with their current incoming classes of 2013 – but b-schools are also showing clear intent to accommodate “experience” diversity applicants, that is those with part or all of their work experience in non-traditional backgrounds such as social sciences, creative industries, non-profits, real estate, hospitality, urban planning, fashion, and so on. The take-away is that male applicants wholly enclosed by cookie-cutter engineering or finance backgrounds are still getting in, but not nearly as easily as before, despite having good GMAT and GPA numbers, good recommendations, and generally having apparently made the “right” career moves. Reading the MBA admissions boards, there are many, many stories that tell of apparently perfect candidates with perfect GMATs getting dinged all over. Why is this happening? 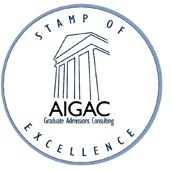 First, schools have always seen and offered valued in diversity in the matriculating pool – which broadens the classroom perspective, fosters real-world peer-to-peer learning enrichment, and which brings MBAs face-to-face with other points of view and thus sharpens their listening and thinking skills. But now, as the business school industry itself gets more competitive, schools need to raise their game on diversity too. 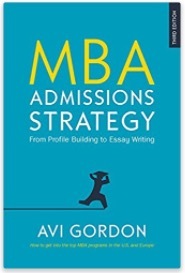 Another force behind diversity in MBA admissions is the slow-burning image problem of business schools and the MBA degree itself in the last 10 years, starting with Enron, through Arthur Andersen, to banks and the Credit Crunch and debt-crisis…. rightly or wrongly it appears to outsiders that a lot of MBAs from top schools are involved in decision-making that is less than fully ethical (and some got bailed out by the taxpayer!) In short, schools are looking for MBAs who will be brand champions of better ethics, and they are not so convinced anymore they will find them in among standard finance, accounting, or consulting-based applicants. Finally, the perceived value of innovation in industry is at an all-time-high. To build big new businesses, from facebook to Groupon to whatever will be next, you have to not just think big. You have to think different. With this in mind, it’s not surprising that Adcom will rate an architect or a journalist or similar as valuable in the class in terms of challenging mindsets and staid practices. The best response? If you are relatively rich in diversity, make sure Adcom “gets it” – what it is and why it offers interest and value to the school. If you are not, that is if you are a standard finance or consulting or IT jock – you have a harder job. But not impossible. The quest is to find an angle (everyone has at least one) in your personal or professional experience that offers a distinctive point of view among the MBA cohort. Last year I had a standard finance-banking background client. For a while I despaired, but in profiling I discovered he had spent six months in a rotation in Perth, working on deals and risk-mitigation in the booming (Australia-China) mining resources sector. This was enough to make him interesting, and combined with the rest of his solid profile, got him the admissions offers he was looking for. Unless you are independently wealthy or have been lucky enough to work for yourself all your life (and most of us fall into neither category,) chances are you’ve had a bad boss or two along the way. You know the type: the boss who sets ambiguous tasks and then micromanages them. Who offers a grunt when you ace a project, but chews you over for 20 minutes because of a minor error. The one who will take credit up the chain for great work you do, but won’t cover for you when deadlines slip. And so on. I was reminded of this in profiling a client recently. He had been doing everything right, killing himself to complete complex operations/IT projects, plus studying nights for an M.S. degree and co-managing a young family. His boss committed all of the above evils and more. She would casually set him ‘by-close-of-business today” tasks late in the day, interfere in carefully nurtured team relationships he had built up over months, use fear of termination to crack the whip, and the list goes on. At the first possible moment, he quit. Yay. Listening to this phase of his life, I felt need to reach for the Kleenex. But I could offer some consolation. After the event, what he had was fabulous experience for his future role as a manager and leader, and it would play well in an MBA admissions essay. Why? Because if you have experienced having your motivation sapped, having to walk on eggshells around an idiot who controls you, having to grind your teeth in frustration at not being able to implement an obvious innovation — that is, if you have been poorly managed yourself, you have excellent insight into what not to do. And therefore, reversing all that a bad boss does, you have a good idea what kind of boss you should be. Further, for MBA admissions essay or interview purposes, your bad-boss story is “proof” you have been through fundamental learning about management, have developed insights into how to handle people under you, and are therefore ready to manage effectively when your turn comes. If you have a story like this, tell it. It’s Super Bowl time. For me this mostly means Augusta (and Spring!) is just around the corner. But the football is always watchable and, as everyone knows, it’s as much all about the half-time show and of course the ads – which I believe for Super Bowl XLIV cost more that $2.5m for a 30-second slot. Anyway, all this reminds me to share one of the profiling tools that I use with MBA admissions clients when required. The issue is always the same: to get an applicant to identify their core message, focus it sharply, and tell it in a compelling way. So I tell applicants: ‘craft your own Super Bowl ad.’ If you were given the opportunity to advertise yourself in a 30-second slot on TV, what would you do and say? Let’s say Adcom members from HBS or Wharton or whichever is your dream b-school are watching. How would your ad go? What would it say? Remember it is appearing in ultra-competitive company, with other ads that are funny and wicked and purposeful and memorable in various ways. So how would yours stand out? I ask MBA applicants to ‘storyboard’ it as if it were a real advertisement (it doesn’t take long, it’s only a 30-second slot after all.) Start with the first image, then the next. What is happening onscreen? What music is playing (why? ), is there a voiceover and what is it saying, what text is on the screen? And so on, moving through the ad to its close. You have seconds to pitch yourself. It’s costing you a fortune to be there so you can’t waste a word. You don’t need to (you could never) capture everything important about yourself. But you must capture and entice the viewers, and leave them with some unforgettable images and a message sandblasted on their brain. Then if you can transfer the essence of your Super Bowl ad to your MBA essays and interviews (elaborating stories, and adding proof) your communication will pack the punch it needs.